Amelia has some sweet little friends at her babysitter's house, at church, and some adorable online friends as well. Since Valentine's Day is next week, and we had these amazing Valentine photos from Fresh Art Photography, I thought it would be fun to make a few cute valentines for her friends. I used one of the photos from Jodie, and then set to work on wording. 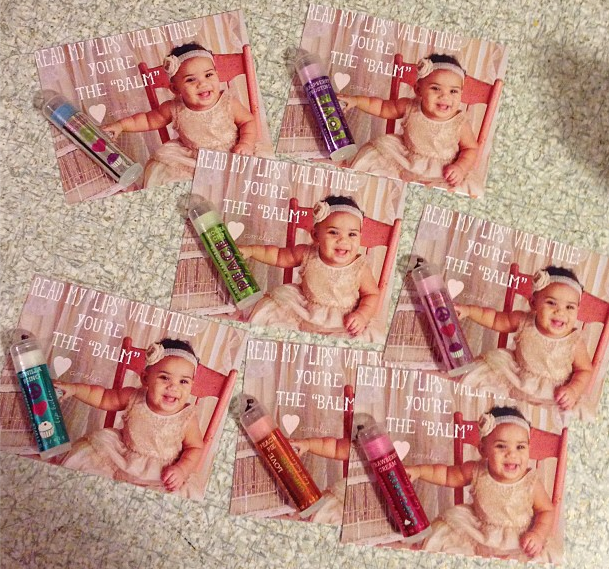 I had bought a little pack of chapsticks for this project so I wanted a nerdy Valentine style play on words. Naturally, I started with "Let's STICK together" but I just wasn't feeling it. 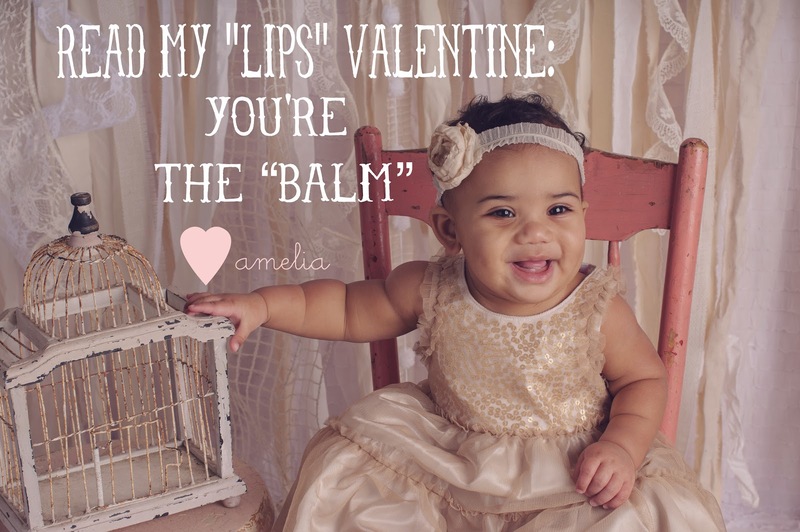 Pinterest supplied me with the "Read my LIPS valentine." I was telling Adam about it and he said are using Lip Balms and "You're the Balm!" came to my mind. So, after adding words using Photoshop Elements, I used a little adhesive and stuck the lip balms onto the Valentines. What are some cute Valentine DIY's that you have seen around lately? that is way too cute. i love it. great play on words. Dear Mrs.Maclean AMELIA has gotten so big.SHE IS SO PRECIOUS AND SMART.I love her Valentine"s card it is so sweet.